Use straws to make a mini diamond! 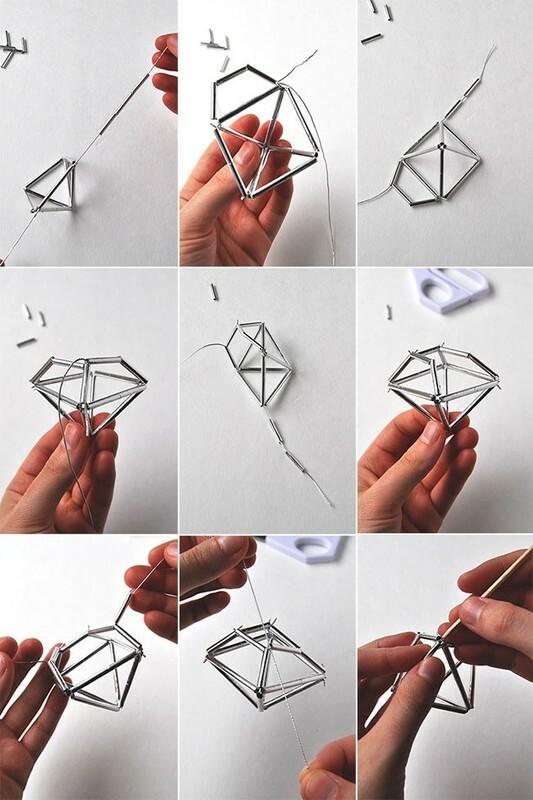 Make this mini diamond with straws, metallic tape, and string. Step 1: Cut the straws so that you have 8 long straws each 1 1/2" long and 8 short straws each 3/4" long. 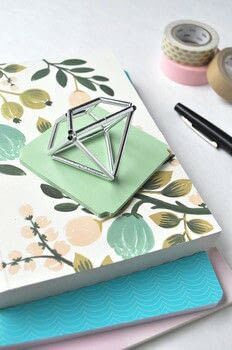 Cut silver tape to match each piece. Step 3: Repeat for all straws. If any silver tape hangs off the ends, trim this off. Step 4: Thread 3 long straws onto the cord and tie them into a triangle. Knot the cord twice, pulling tightly. Trim any excess cord. 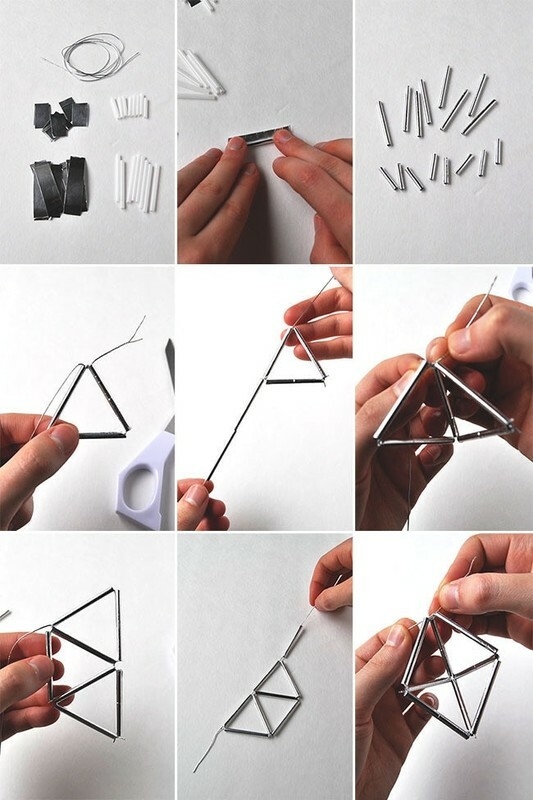 Step 5: Thread the cord through one side of the triangle and add two more long straws. Step 6: Tie off into another triangle, again trimming excess. Step 7: Do the same for the next two long straws. Step 8: For the final long straw, thread the cord through the two straws as shown, adding on the final long straw. Step 9: Tie off and trim excess cord. You'll now have a square-based pyramid. Step 10: Thread the cord through one of the straws on the base of the pyramid and add 3 short straws. Step 11: Tie off tightly, and trim excess as before. Step 12: To form the next facet, thread the cord through one of the short straws you just attached, the neighbouring long straw, and two additional short straws. Step 13: Tie off and trim. Step 14: For the next facet, repeat step 11. Step 15: Tie off and trim. Step 16: For the final facet, thread the cord through the short straw, long straw, and next short straw adding the last short straw as well. Step 17: Tie off and trim. Step 18: To conceal the knots visible at the joints of your diamond, use a toothpick to gently push the knots into the straws.